Many people are trying to save money these days and spending the extra cash on a lawn sprinkler timer is something that they will usually pass on. What most people fail to understand is that this small investment will actually save you both time and money down the road. If you have a lawn, this is one investment that will pay you off tenfold. People invest a lot of money in their lawn in both currency and time. After they have taken the time to make sure that the lawn is perfect, they have to keep it that way by making sure that it is watered at the best times and groomed properly. If they don’t do this, all of that time and money that went into getting it perfect in the first place will be wasted. Let’s be honest, do you really want to have to get up before work and water your lawn and then do the same thing when you get home? If people answer honestly, the answer will more than likely be no. While you may do it because you have to, it is not something that most people look forward to doing. If you invest in a timer for a sprinkler system, you can alleviate this problem and never have to worry about it again. Not only that, but you are also assuring yourself that the lawn is watered at the proper times each day and that it is watered for the right amount of time. This makes sure that your lawn is fed properly and that it will continue to grow and stay full during the entire season. 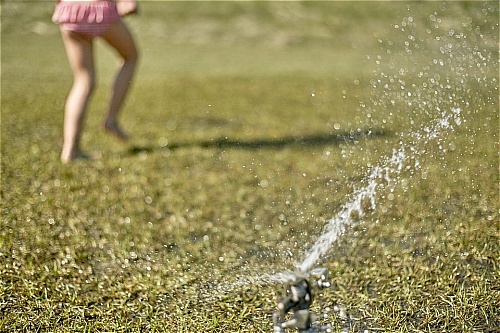 The result of not using water sprinkler timers is that even if you do water the lawn, you water it at the wrong times and possibly do not water it enough. Remember, if you water your lawn at the wrong time, it can be just as harmful as if you miss watering it all together. It is suggested that the lawn be watered early in the morning and then late at night after the sun goes down. This allows the water to be truly absorbed instead of scorching and getting burned off. Have you ever drive by a plush golf course or baseball field? If you notice the times of day that they water their grass, this is something that you should emulate. How is it that a baseball field in the inner city can be totally plush in the middle of August when you have a patch of grass that is five foot square and cannot manage to keep it green? Using a sprinkler timer is a great way to ensure that you not only protect your lawn, but to save you time as well. 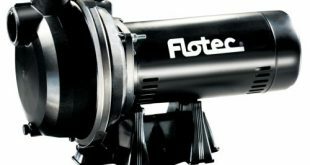 The threat of missing the ideal watering time is no longer a worry and nor will you ever have to worry about forgetting to water the lawn again. Set the sprinkler timer, place the sprinkler and forget about. Now all you have to do is enjoy a green, plush lawn for the rest of the summer. Instead of going through all of the trouble of having to figure out the right time to water your lawn and to even make sure that you get to it every day, why would you not take advantage of one of the many lawn sprinkler timer systems that are on the market today? The way they are made, you can pretty much just set them up and forget about ever having to take care of watering your lawn again. One obstacle that many people forget about when they are upgrading their lawn or garden is the restrictions that many local counties now put on homeowners in regards to watering their lawns. Many of them will only allow watering during certain times and also restrict the amount of water that may be used. Operating within these restrictions can be quite the challenge for someone that does not have the typical 9-5 job. Getting a standard sprinkler system will help with this, but an electronic one is even better. 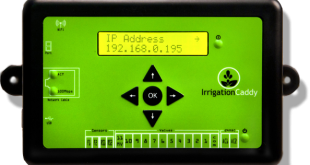 With the technology that they now implore, an inline sprinkler system monitors just about everything that you can think of and your worries are totally alleviated by using one of these systems. 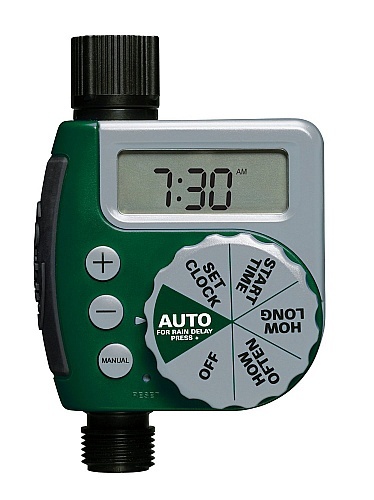 The most basic of all lawn sprinkler timers will have a timer switch that is set to go off during a certain time of the day and for a certain amount of time. For instance, your timer will water your lawn at 7:00am every day for 20 minutes. While this is an improvement over not having a timer, you are still going to have to keep an eye on it to make sure the settings are appropriate. 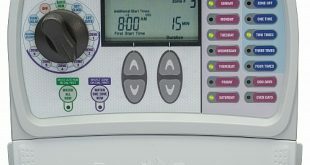 One reason that you may decide to go with an electric timer over a standard one with the features that we mentioned above is because things like rainfall are not taken into consideration. That being the case, it could be pouring rain outside at 7am and your timer would not know that. Instead of letting the rain take care of the watering for the day, the timer kicks in and now you are actually wasting water instead of saving it as intended. The electronic water sprinkler timers can be programmed in a variety of ways to avoid situations just like that. In fact, they are so advanced that some of them can even detect the saturation level of your lawn and adjust accordingly. Perhaps a storm just finished up at 6:30am, there is obviously no need to water the lawn at 7am. The electronic lawn sprinkler timer would sense this and automatically adjust the watering schedule to skip this treatment. Just that one feature alone will help pay for the system before you know it. Getting the right lawn sprinkler timer is very important to make sure that you are maximizing your savings and also to keep your lawn in the best shape possible. If you are able to monitor and adjust the watering schedule of your lawn, a simple timer will do. However, if you are a busy person with limited time to devote to your lawn care, spending the few extra dollars would be a prudent move that would pay you back in no time at all. Do You Have to Clean a Lawn Sprinkler Timer System? If you have invested money in a lawn sprinkler timer system, you are going to want to make sure that you take care of it at all times. Many people will make the mistake of thinking that since it works with water, that it will always be clean and maintenance free. That is not necessarily the case and you should perform some limited maintenance on it to ensure top performance. 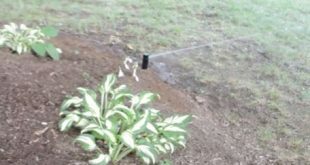 The biggest area of concern for your water sprinkler timers is going to the actual sprinkler head on the watering system. If this is not kept clean, debris can build up and restrict the water flow of the unit. This is something that you must avoid as the lawn sprinkler timer system will think that your lawn is receiving the right amount of water, but that will not be the case. One of the first things that you will want to do is set up a schedule for yourself to ensure that you are checking it regularly to make sure that everything is working fine. In most cases, 3 to 4 times a year will be more than enough with an occasional spot check every now and again just to be sure. The recommended times for checking your system would be before the season starts, about halfway through the season and then again at season’s end before putting everything away again. To make sure that you clean your sprinkler heads properly, you are going to need to get a few things together for the task. You should have most of the supplies on hand already, but if you don’t, a quick trip to the local hardware store will get you everything that you need. The items that you will need to gather are a bucket, detergent, firm wire (a small piece of a hanger should do the trick), wire brush and a screwdriver. Now that you have everything, it is time to get to work cleaning out the sprinkle head. The first thing to do is remove the sprinkler head. You will either be able to lift this directly off of the system or if it is screwed on, you will obviously have to remove the screws first. Once you have the head off, you can soak it in hot soapy water why you are taking care of the other items. Get your piece of wire and remove any large pieces of dirt and debris that have gotten into the sheath of the equipment. Once you have done that, you can use the wire brush to scrub down both the sheath and the sprinkler head to make sure all small pieces of debris have been removed. You will once again check all of the holes in the equipment to see if they are clogged and can again use the wire to unclog them. After you have done all of that, it is time to reverse the process and put everything back together again. If you have multiple heads, you will need to repeat the process until all of them are clean. When you have the whole unit done, you can hook up the water and make sure that it is running correctly. If they are any blockages, just strip the unit back down and clean them out.